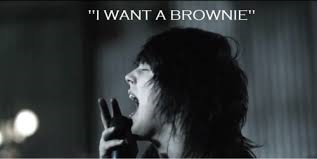 Well I sure as hell know that I do, and if you don’t then I am sorry to hear that….. you should probably turn away as I am about to lay down some SIMPLE yet Delicious brownies. I wanted to do a picture at each step but I had pre prepped part of this are slightly was rushed in making it, but I wanted to get something on here for everyone ! Pre heat over to 350, or 400 for a quicker cooking time. Take 70g of cannelloni beans and grind them up. (make sure you have rinsed and drained them previously.) I just use a coffee grinder, could use a food processor, blender, masher, it doesn’t matter. Get them all mashed up and throw them in a bowl. Next take 60g Pumpkin Puree, 15g coconut flour, 96g egg whites, 5g coco powder, 1g chocolate extract(I think, it was around 1tsp. I just pour a bit in). 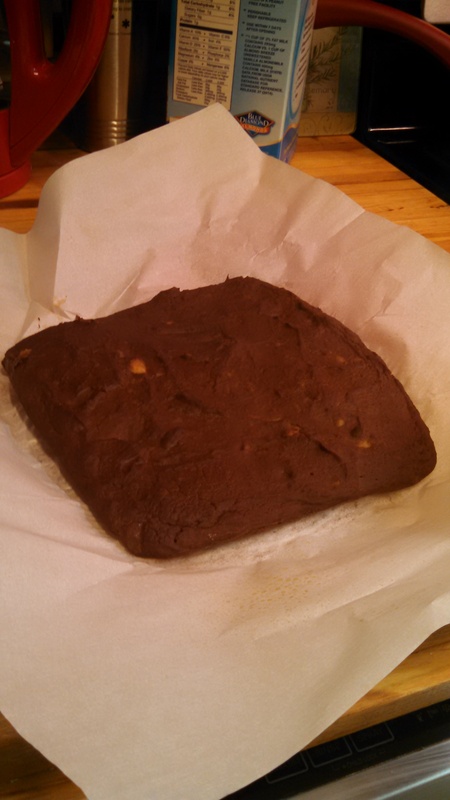 15 chocolate stevia drops, and 1 packet of stevia. 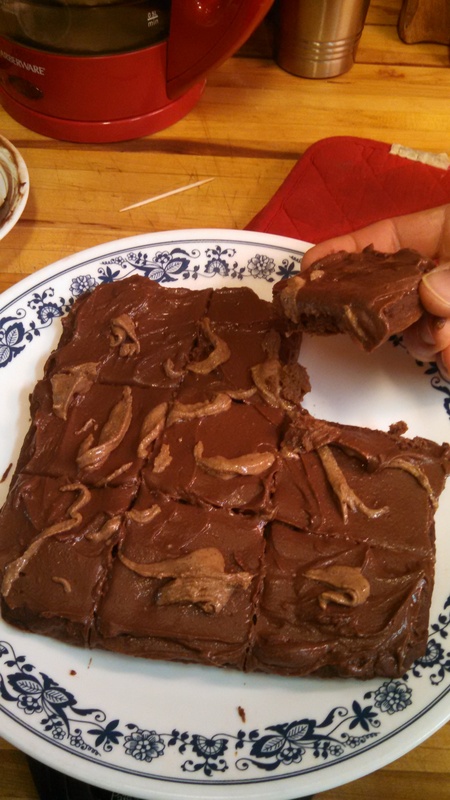 Dash of cinnamon, 1 tsp baking powder, and 4g of chocolate sugar free fat free pudding. Now mix in 1/2 scoop of protein. 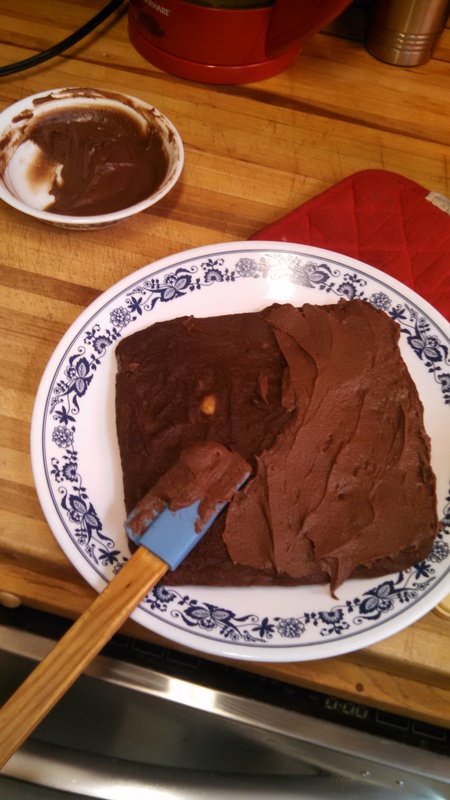 I usually will do a whole scoop, but I put it in the pan before remembering to add the other half….. haha oh well! Now depending on the protein you use the amount will vary, but use just enough almond milk or milk of choice to mix it all together. I like mine just a bit past a thick paste. Next take a pan of choice, this time I used a 8×8 sprayed pan lined with parchment paper and sprayed again. pour and spread mixture around evenly. Pop those bad boys in the oven at 350 for about 15-20 min again depending on protein, oven, milk added. In the mean time take 1 Scoop of protein(usually would be a half, and the other half in the protein but it doesn’t matter. 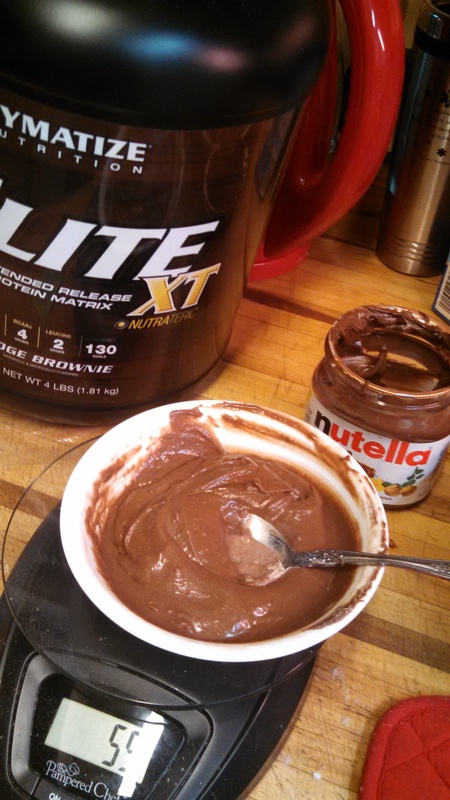 Mix with 2tbsp of nutella, and enough milk of choice to mix into a nice paste. Pop it in the fridge well the brownies finish cooking. Use the ole toothpick method to check if they are done. If it comes out clean you are good to go! Let cool on top of a rack I took mine out of the pan to speed up the cooling phase. Well I was waiting for it to cool I made a sweet omelet that had turned out great! I took 4g Butterscotch sf ff pudding and mixed with 4 egg whites. tossed it in a sprayed heated pan and let cooked for a bit. Then I threw in 2 crushed up oreos and 7g peanut butter filled chocolate chips. Well that is cooking, take your fudgy brownies and throw them on a plate. 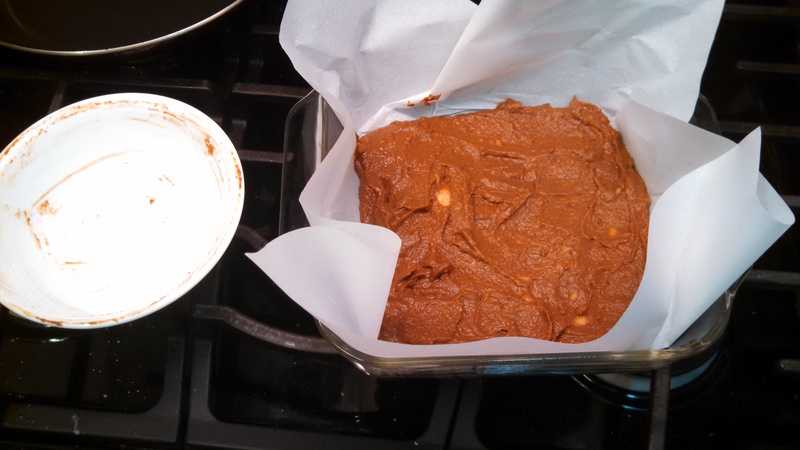 Take your frosting out of the fridge and start lathering on your brownies nice and thick. Cut into 9 pieces and enjoy! 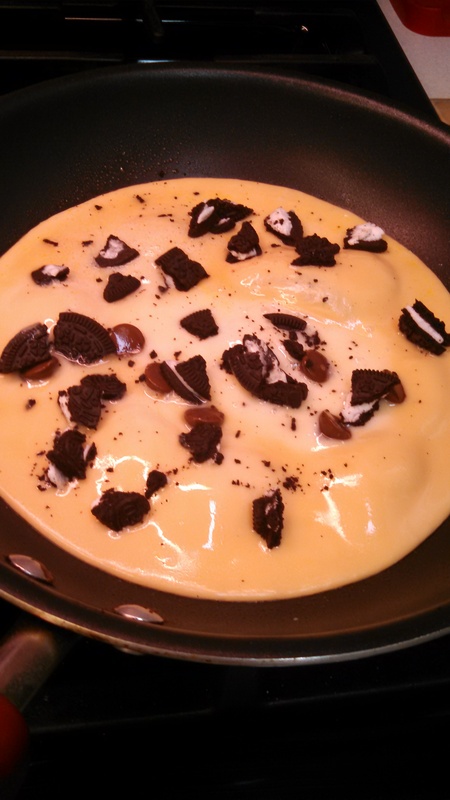 wait….. where is the omelet. Don’t worry, there it is ! I covered that in some leftover frosting so it melted on nice and good like. I hope you enjoy! I tried to keep these very simple, yet awesome! Now, If you don’t have a bunch of fats to burn like me that is okay don’t sweat it. 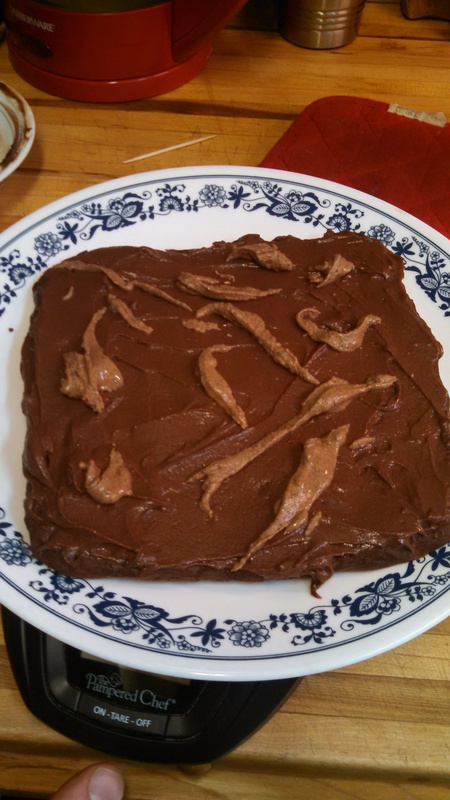 The Nutella is not needed to make the frosting work. If you make these and do like them, feel free to tag me on Instagram! Previous PostHello world, and Welcome to my Madness!Next PostDo you even salad, bro? 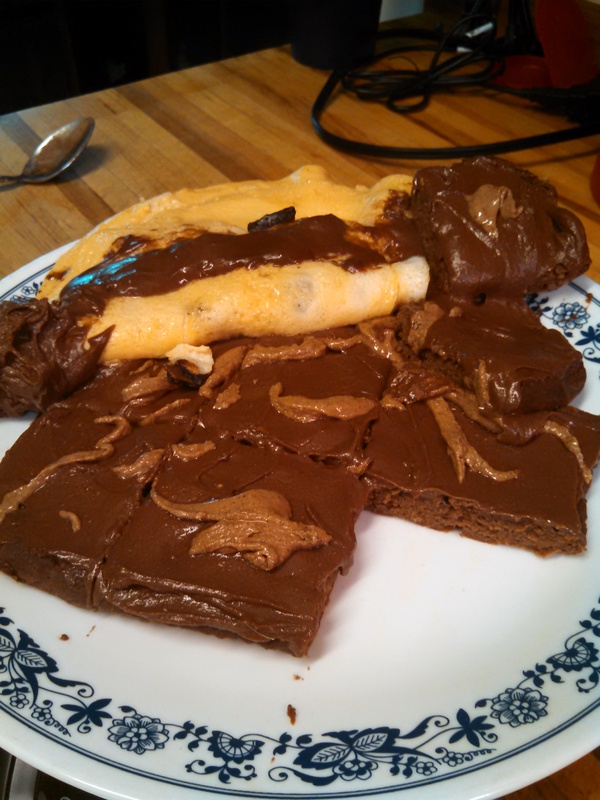 What are the macros for the brownies? Macros have been updated ! I am so glad to hear it turned out!!! You are welcome!